It seems innocuous enough… an apartment complex just northwest of downtown Chicago, constructed between 1942 and 1962, a nd home to approximately 15,000 people. But Cabrini Green wasn’t an ordinary apartment complex; to many, it represented everything that was wrong with public housing in American cities. Cabrini Green was the scene of countless acts of violence over the course of its decades as a predominantly poor, predominantly African American public housing complex. Cabrini Green stood until last month, when the last of the high rise building was demolished. During that time, Cabrini stood not just as public housing, but as a symbol of the problems of public housing in America’s cities. The city, the plight and living conditions of the urban poor, has been a central focus of American sociology, and in fact Chicago itself has been the subject of more than its share of urban sociology, beginning in the early part of the twentieth century with the Chicago school. So how would a sociologist approach the question of Cabrini Green? A sociologist would look at Cabrini Green and see both symptom and problem. 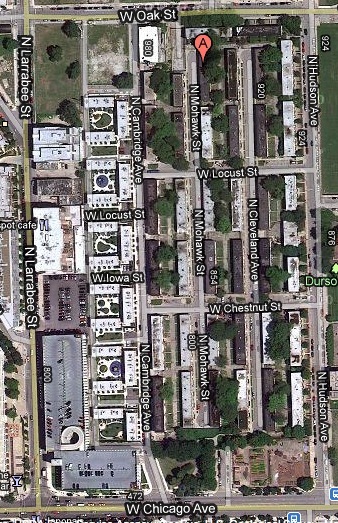 Cabrini Green, and housing projects in general, concentrated poor people, concentrated minorities, into one place. On the one hand, this made it more possible to deliver social services. On the other hand, because the urban poor are overwhelmingly African American, it effectively imposed racial segregation and exacerbated the very inner-city problems – gang violence, crushing poverty – that marred the lifetime of Cabrini Green. These are the causes. But it’s not that simple… because Cabrini Green was also a symptom. A symptom of racial prejudice, of fear of the poor and of urban violence. What would be a better option? How can we better deal with the problems of the inner city? I recently found myself engaged in a rather heated discussion with a friend who was lamenting the quality of food that she can buy with her relatively meager paycheck. She was justifiably upset that the best calorie value for her money was off-brand macaroni and cheese which she could buy for $1/box and which would feed her for four meals. Her experience is far from unique. 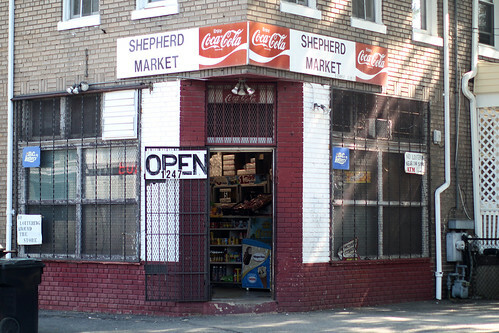 In many urban locations, there isn’t any kind of a grocery store for residents to shop at; corner stores and fast food are the only options. Even where there is good access to a wide selection of foods, the fact is that, as my friend knows all too well, healthy food is simply more expensive than lower-quality but more calorically dense options. It seems contradictory that we so often hear lamentations of the obesity epidemic in the United States (see the statistics available from obesity.org) followed on the heels of reports about increasing rates of malnutrition (see Hunger in the U.S.). Aren’t these things mutually exclusive? They are, of course, not. When the goal is to get as many calories as possible on as few dollars as possible, the sacrifice that often has to be made is nutrition. The end result is that people who come from “food insecure households” may well be overweight and malnourished at the same time. There is no clear-cut answer to this social problem. Some of the problem is education, and it is here that we see the inextricable links between poverty, education, health, and opportunity. My friend has the benefit of a good education; part of the reason she is so upset at her situation is that she knows that the affordable choices available to her are also ones that are detrimental to her overall health. In other cases, however, the individuals in this situation are suffering the double whammy of ignorance of the healthy choices to make plus the lack of healthy choices available to them. Availability of healthy food, regardless of cost, is another problem; even if a person wants to make good nutritional choices, if there are no stores offering those choices to them, they are left with little choice but to buy less-healthy foods. The daily-life constraints placed upon the poor are also a factor. Imagine that you are a single parent working multiple jobs in order to support your family. You may simply not have time to cook nutritional meals for them and opt instead for fast food. If the problem of poverty and nutrition is so complex, the solution must also be multi-faceted. In a sense, nutrition serves as a lens into the more general experience of the urban poor in America. Much like the United States, India conducts a decennial national census; their next census will be conducted in 2011. As part of the 2011 census, the Indian government is bringing back something that has only been done once before, under British rule in 1931: there will be a second census, conducted after the main census data collection is complete, that focuses specifically on caste membership. The Indian caste system has a history that stretches back thousands of years. Based in the Hindu religion, it served as the primary means of social stratification in Indian society. Like gender and race, caste is an ascribed status. It is generally believed that there was little to no mobility between castes. The caste system was formally outlawed in India in the mid-twentieth century, but it continues to affect Indian society. Caste status is still closely tied to wealth, power, and education. While members of the lower-status castes (often OBCs, or “other backwards castes”) have seen improvements in education, wealth, and political power (there are seats in Parliament that are reserved for members of these castes), the links between caste status and social status are still very strong. It is for this reason that the government has decided to carry out the caste census; it is an attempt to get a handle on what is really going on with social status in India. While the United States has never had a formal caste system in the way that India has, there are still strong ties between ascribed statuses like race/ethnicity and gender and social status. In the United States, though, we also believe in meritocracy, which means that people who are born into a lower status are taught to believe that they can climb the social ladder, even though dramatic upward movement is extremely rare. Which is worse? Being born low-status and knowing that you will stay there, or being born low-status and being taught that if you just work hard enough, you can change your lot in life? You are currently browsing the archives for the Stratification category.